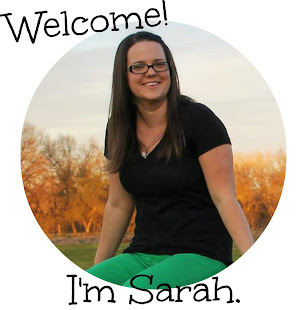 This is Rebecca Mott. My husband, Casey, and I ranch in Custer, Montana where we raised beef cattle. 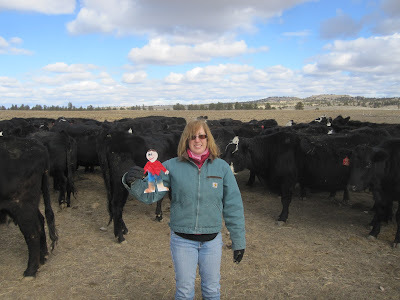 Flat Aggie came to visit us and spend time on our ranch. Here are some photos of Flat Aggie helping with chores. Flat Aggie with Rebecca Mott and some of our cows. The cows are Black Angus, but sometimes you will see a red cow or a black one with a white face. That would show she is part Hereford. This little guy with Flat Aggie is a few hours old. Once a calf is born, they can walk and nurse within about 15 minutes of being born. Montana is a cold state. In the winter when the grass doesn't grow, we feed the cows hay and lots of it! Flat Aggie is helping to roll out a round bale of grass hay. 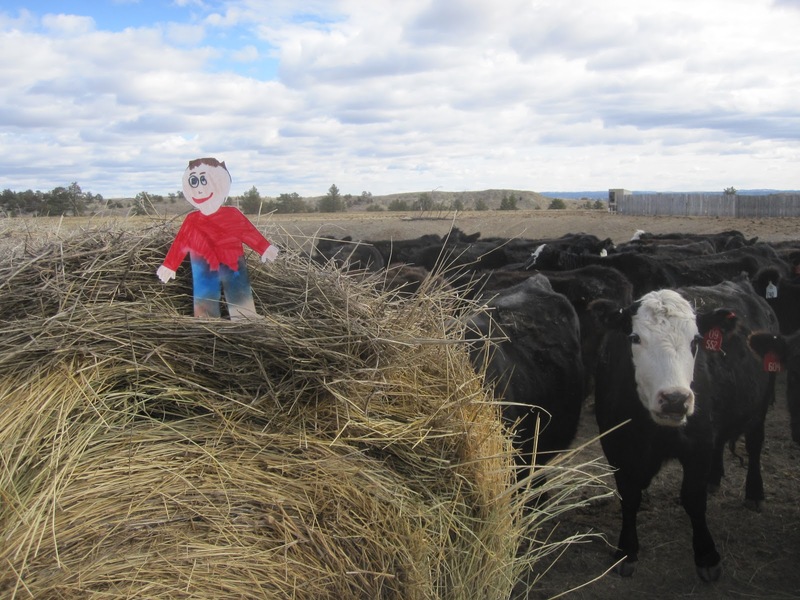 Each cow eats 25 pounds of hay a day! 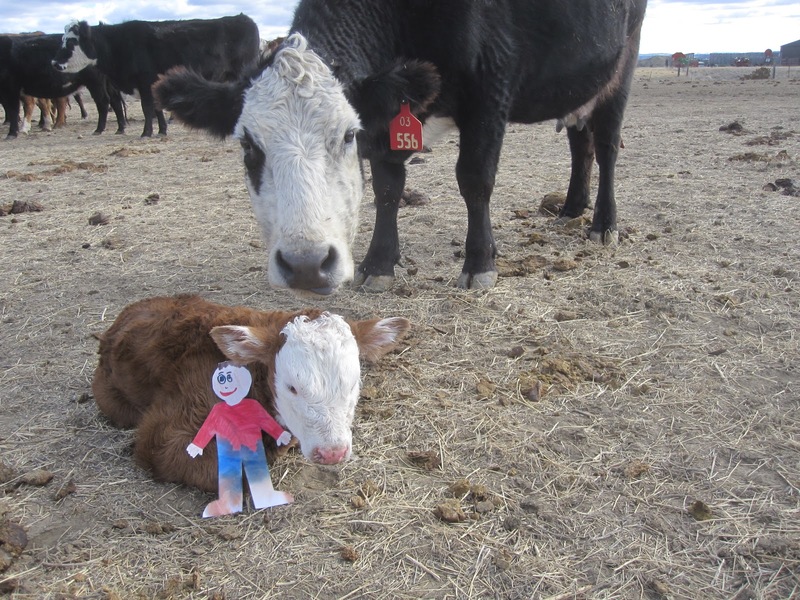 Flat Aggie will be helping again on the ranch today and we will send more photos. If you want see more photos of our calves, "like" the Calf of the Day page on Facebook.